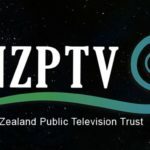 The Library and Information Association of New Zealand Aotearoa (LIANZA), strongly supports David Cunliffe’s request to the Government that details of the pending Trans-Pacific Partnership Agreement (TPPA) negotiations be released to the public. 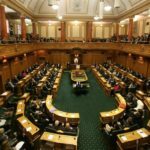 The Association says unless input is allowed from affected parties on the individual provisions, the Government will be acting without first understanding the real economic, social and cultural impact on New Zealanders. The Library Association is particularly concerned about the impact that changes to New Zealand copyright law, demanded by the United States, will have on the provision of access to information through libraries for the New Zealand public. The possible re-introduction of a ban on parallel importing is a key concern, which would see a steep increase in the purchase price of library materials, and therefore mean a sharp drop in the amount and range of resources available to the public. Restrictions on current “fair dealing” provisions could also deprive the public of access to a range of international material and impact digitisation programmes, restricting the ability of the public to access their information online. LIANZA’s spokesperson on copyright, Tony Millett, says it has been very difficult to draw the attention of the Government to the likely impact on libraries, and consequently the public, of what may be being proposed. “Up until now the negotiations have been cloaked in secrecy, although there have been a number of worrying leaks around the Intellectual Property section of the final Agreement which the United States is pressing to be finalised by the end of this year”. 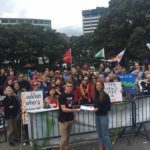 LIANZA urges the Government to release details of the TPP Agreement, and to give the public a voice in the negotiations before signing away the rights of New Zealanders.